Metaphase Genetics has been a provider of world class legal DNA testing services since 1998. Our expert laboratory PhD geneticists are experienced leaders in the DNA testing industry. Motherless Paternity Test $99 for complete test 3 to 5 business days The DNA motherless paternity test will conclusively determine whether an alleged father is the true biological father of the child. A DNA paternity test can be performed with or without the mother. All 16 genetic loci including the core CODIS loci are tested for every paternity case. Our laboratory provides results with greater than 99.9% probability of paternity for inclusions and 100% for exclusions. All tests are automatically run twice to ensure 100% accuracy. The full genetic report is included with every test. The average turnaround time for paternity testing is 3 to 5 business days. Paternity Test $125 for complete test 3 to 5 business days The DNA paternity test will conclusively determine whether an alleged father is the true biological father of the child. A DNA paternity test can be performed with or without the mother. All 16 genetic loci including the core CODIS loci are tested for every paternity case. Our laboratory provides results with greater than 99.999% probability of paternity for inclusions and 100% for exclusions. All tests are automatically run twice to ensure 100% accuracy. The full genetic report is included with every test. The average turnaround time for paternity testing is $99. Maternity Test $150 for complete test 3 to 5 business days The DNA maternity test allows the accurate determination of maternity for adoption cases, IVF, and general confirmation. Like the DNA paternity test, the maternity test provides conclusive results greater than 99.9% for inclusions and 100% for exclusions. The testing kit comes complete with all of the materials and instructions to collect the buccal cells quickly and painlessly for DNA analysis. The average turnaround time for maternity testing is $150. Sibship Test $150 for complete test 3 to 5 business days When the issue of sibship is in question, the recommended method to determine whether the children are biological siblings is to test the parents. DNA paternity and maternity testing will provide conclusive results. 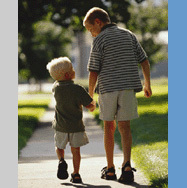 However, in situations where the alleged parents are unavailable for testing, a DNA sibship test can be performed to analyze the relationship of biological siblings. Unlike a DNA paternity test which will always provide a conclusive result, sibship tests are different. When a sibship test is conducted, the DNA laboratory will determine the genetic profile of the alleged siblings. Based on the type of genetic material inherited by each sibling, a sibship index is determined. If the sibship index is less than 1.00, this indicates non-relatedness. If the sibship index is greater than 1.00, this indicates that the two tested individuals are more likely to be true biological siblings. The higher the value of the sibship index, the greater the likelihood that the two individuals are true biological siblings. To analyze the possibility that the siblings share only one common parent versus two common parents (mother and father), a half sibship index is obtained. The ratio of the half sibship index versus the full sibship index would provide you with an idea of whether the two individuals are more likely to share only one common parent (e.g. mother only) or two common parents (mother and alleged father). The sibship test is intended to provide patients with an understanding of whether they are true biological siblings, and also provides information regarding whether they share only one or both parents in common. Grandparentage Test $150 for complete test 3 to 5 business days When the parents are not availabe for DNA testinng, the grandparents can be tested to determine whether they are the biological grandparents of the child. If both grandparents are present for testing, the gene pool of the alleged father can be full reconstructed and then tested against the grandchild, much like a standard paternity test. If only one grandparent is available for testing, the gene pool of the alleged father cannot be fully reconstructed. In situations where only one granparent is present for testing, a relationship analysis can be performed to determine the liklihood that the grandparent and grandchild are related. To proceed with grandparentage analysis, contact our laboratory at 1-866-708-2128. Twin Test $150 for complete test 3 to 5 business days For the determination of chorionicity (fraternal twins vrs identical twins). Each kit includes complete collection materials and instructions for safe and painless collection of DNA samples from children and adults at any age. Prenatal Paternity Test contact our laboratory to arrange prenatal testing 7-9 working days Testing can be performed before birth using CVS samples or amniotic fluid samples. The results are just as conclusive as testing which is performed after the child is born. To arrange for prenatal DNA testing, call our laboratory at 1-866-708-2128 to make arrangements. Forensic DNA Test $250 per sample Usually 9 working days; may take longer, depending on quality of samples DNA testing can be performed on a wide range of forensic samples. Examples of samples which are frequently submitted to our laboratory for forensic testing include: cigarette butts, hair, dried blood, dried saliva, dried urine, underwear stains, razor shavings, hair brushes, toothbrushes, bone, chewing gum, licked stamps and envelopes and wind instruments. Our state-of-the-art laboratory utilizes PCR technology and we have extensive experience in helping patients with unusual samples. to procede with forensic testing, call our laboratory at 1-866-708-2128 to discuss your particular situation. If you decide to proceed with forensic testing, our laboratory will provide you with a forensic specimen sample number and I.D. number and send you a forensic speicmen shipper. Once you receive your I.D. # and shipper, the forensic sample can be shipped directly to our laboratory for analysis. analysis is usually completed within 9 working days. Trace your your paternal ancestry using Y-DNA and maternal ancestry using mtDNA. Learn more. See Terms and Conditions for important information.